The White House's Office of National Drug Control Policy (ONDCP) on Monday announced it's spending $2.5 million to launch the Heroin Response Strategy, a partnership between federal, government and local forces that the White House and other lawmakers call unprecedented. The Heroin Response Strategy will bring together five regional programs that already exist under the High Intensity Drug Trafficking Areas (HIDTA) program. Spanning 15 states, those regions include Appalachia, New England, Philadelphia/Camden, New York/New Jersey, and Washington/Baltimore. 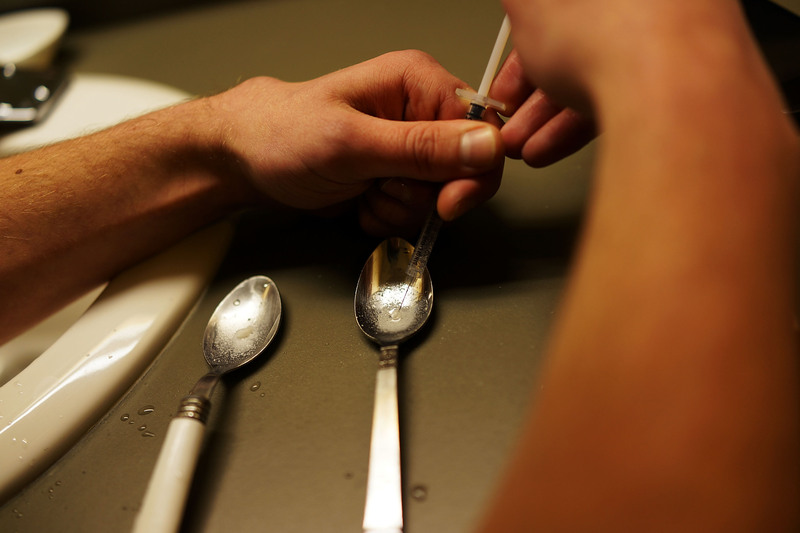 Heroin use is a growing concern nationwide. The number of heroin overdose deaths nearly doubled between 2011 and 2013, the Centers for Disease Control and Prevention reported last month. In 2013 more than 8,200 people died from the narcotic. Members of Congress have considered various proposals to stem heroin and opioid abuse, and 2016 presidential candidates are talking about it as well. Michael Botticelli, director of National Drug Control Policy, said in a statement that the new strategy "demonstrates a strong commitment to address the heroin and prescription opioid epidemic as both a public health and a public safety issue." Under the Heroin Response Strategy, the five HIDTAs will choose two regional coordinators -- one with a public health focus and one with a public safety focus. The public health coordinator will oversee reporting on overdoses and will issue alerts to health authorities regarding dangerous batches of heroin and similar threats. Those alerts will help health officials quickly prepare to distribute naxolene, an antidote to opioid overdoses, or take other steps to reduce overdose deaths. Meanwhile, the public safety coordinator will ensure law enforcement officials have the resources and intelligence they need to disrupt heroin trafficking. Rep. Elijah Cummings, D-Maryland, a strong supporter of the HIDTA program, hailed the new Heroin Response Strategy in a statement. "The size and reach of this collaboration is remarkable, and I look forward to its success," he said. "In Baltimore and around this country, these HIDTA efforts give us hope that we can reclaim our cities, bring safety and security to our streets, and dream of brighter futures for our children." The $2.5 million for the Heroin Response Strategy is part of a larger package of funding -- $13.4 million in all -- that the ONDCP is providing for the HIDTA program. Congress created the HIDTA program in 1988 to promote coordination between federal, state, and local agencies operating critical drug-trafficking regions of the United States.